Hole In One Insurance Winner, Jay Stein, Wins Cleveland Irons! Great news! Hole in one insurance pays off for Jay Stein of Pompton Lakes, NJ, who ended up making a hole in one during the Patriot Golf Day Four Person Team Golf Scramble which took place at Patriot Hills Golf Club in Stony Point, NY on September 1, 2013. Stein’s hole-in-one was made on the par 3 17th hole, which measured approximately 161 yards. The shot was made with his 4 iron. For his amazing feat, Hole In One International gave him a set of Cleveland® CG16 Black Pearl Irons. That’s because when you insure a hole in one insurance policy with us, we’ll throw in up to four extra non-target auxiliary prizes on the other par 3 holes on the course that are at least 135 yards in length! What’s more? Signage is included in the cost, so long as we receive paperwork back 10 calendar days prior to the event… and every golfer in the event will receive a free tee prize, which consists of a FREE golf club! Congratulations again to Jay Stein on his amazing accomplishment! For more information on hole in one insurance or putting contest insurance, give Hole In One International a call today at 800-827-2249 or email us for a free, no-obligation quote! Happy golfing! 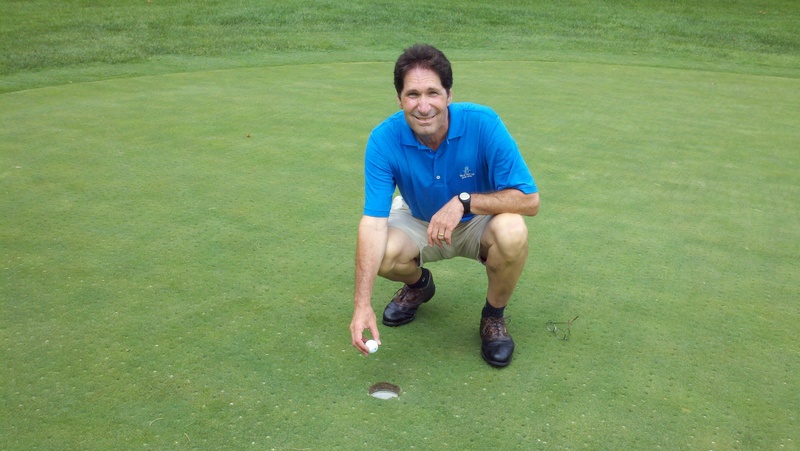 Home » Blog » Hole In One Insurance Winner, Jay Stein, Wins Cleveland Irons!